This is a Podcast produced by Daniella, Arif and Supreet in 8A, Vistaskolan in Huddinge. Prior to this Podcast they have been working with a project about Jamie Oliver and what he experienced with McDonald’s and their food in America. They worked in Blendspace, reading an article, watching several clips from YouTube and gathered their own opinion in this matter. They are trying to express their opinions, what they experienced and learnt in this Podcast. Enjoy! Press ”Play” below to listen to the Podcast! This is a Podcast produced by Kristijan, Martin and Stefan in 8A, Vistaskolan in Huddinge. Prior to this Podcast they have been working with a project about Jamie Oliver and what he experienced with McDonald’s and their food in America. They worked in Blendspace, reading an article, watching several clips from YouTube and gathered their own opinion in this matter. They are trying to express their opinions, what they experienced and learnt in this Podcast. Enjoy! This is a Podcast produced by Rebecka, Sandra Hasan and Dennis in 8A, Vistaskolan in Huddinge. Prior to this Podcast they have been working with a project about Jamie Oliver and what he experienced with McDonald’s and their food in America. They worked in Blendspace, reading an article, watching several clips from YouTube and gathered their own opinion in this matter. They are trying to express their opinions, what they experienced and learnt in this Podcast. Enjoy! This is a Podcast produced by Cassandra, Sargon and Johannes in 8A, Vistaskolan in Huddinge. 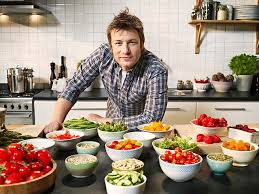 Prior to this Podcast they have been working with a project about Jamie Oliver and what he experienced with McDonald’s and their food in America. They worked in Blendspace, reading an article, watching several clips from YouTube and gathered their own opinion in this matter. They are trying to express their opinions, what they experienced and learnt in this Podcast. Enjoy! This is a Podcast produced by Ivan, Victoria and Vanessa in 8A, Vistaskolan in Huddinge. Prior to this Podcast they have been working with a project about Jamie Oliver and what he experienced with McDonald’s and their food in America. They worked in Blendspace, reading an article, watching several clips from YouTube and gathered their own opinion in this matter. They are trying to express their opinions, what they experienced and learnt in this Podcast. Enjoy! Bedömningsaspekter – Vad ger ett E, alternativt ett A i betyg? It is getting closer and closer to actually producing your Podcasts! Exciting! We have put the order of recording together and we will start the acuall recording tomorrow, Friday 6/2. Yeah!